Why Not Learn to Fly when Traveling to Britain? “Flying lessons UK” is an increasingly common term that when entered into any search engine reveals a wealth of flying opportunities that exist throughout the whole of Britain. It’s not surprising given the country’s great history of taking to the skies, yet many people who love the idea of learning to fly never realise that there are so many opportunities available. 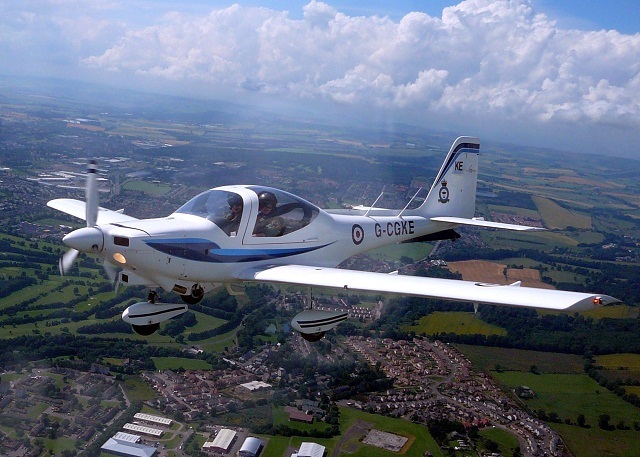 Many British based private flying companies based in airfields and small independent airports all over Britain offer a wide choice of flying experiences. These can range from a simple half hour ride in a small private plane where you get to take control of the plane in mid air under the watchful eye of a flying instructor to professional tuition over a lengthy period, leading to a pilot’s licence. Flying an aeroplane isn’t the only opportunity you can take advantage of. You can also learn to fly a glider or a microlight aircraft. Alternatively, can also learn to parachute and skydive, too. Tandem skydiving is an especially popular activity. You dive out of the plane while securely strapped to a professional skydiver. All that you have to do is enjoy the ride, or fall to be more exact, and experience the exhilaration of freefall for a whole minute before the parachute opens and you descend gracefully and safely to earth. There’s no shortage of airfields where you can find a range of recreational flying activities being offered to the public. While you can usually find an airfield hosting amateur flying lessons close to where you live, keep in mind that the scenery is an important part of the flying experience. That may involve a bit more travel, so why not consider a weekend trip where you can devote two or three days to learning your new aviation skills over interesting scenery? For example, if you want to enjoy flying over the green rolling fields and farmland of Wiltshire, Old Sarum Airfield, a former military pilot training centre during the first world war, is a particularly popular location. It now proudly plays host to a wide range of recreational flying opportunities. Strathaven Airfield in west central Scotland is another popular location that hosting a range of recreational aviation activities that can involve flying over moorland, the west coast of Ayrshire or over towns dotted along the Firth of Clyde, while further north, there are recreational flying opportunities available at Inverness Airport, where a flight takes you over the magnificent scenery of Loch Ness and the tallest mountains in Britain. Wherever you choose to take flying lessons, rest assured that safety is given the utmost importance and all recreational aviation activities are fully in compliance with the Civil Aviation Authority’s strict requirements. Even if flying is not your thing, you almost certainly know several people who would love the idea of having a flying experience with professional guidance That’s why flying lesson gift vouchers have become so popular. You can pre-book a flying, parachuting or skydiving experience for someone else. It could be as simple as a short afternoon plane ride, or it could be a full course of lessons leading to a professional aviation qualification.